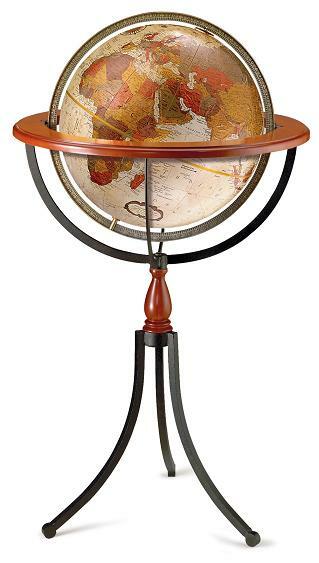 A dash of western style makes the Santa Fe globe a stunning addition to your home or office! 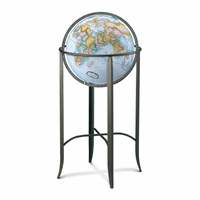 The oceans in the 16' diameter ocean globe have the look of antiqued white parchment color, with rich browns, golds and coppers deliniating each country. 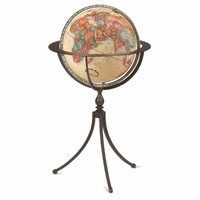 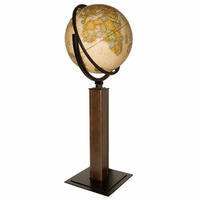 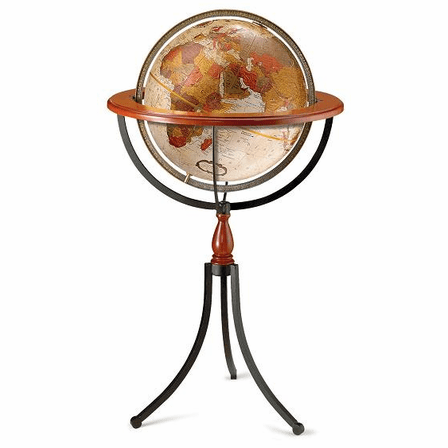 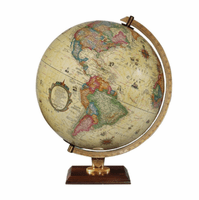 A rich, antique brass meridian surrounds the globe, with an axis at the Poles that allows it to spin freely.The globe is set in a wrought iron stand with a cherry-finish solid wood riser, and offers many hours of exploration and adventure!